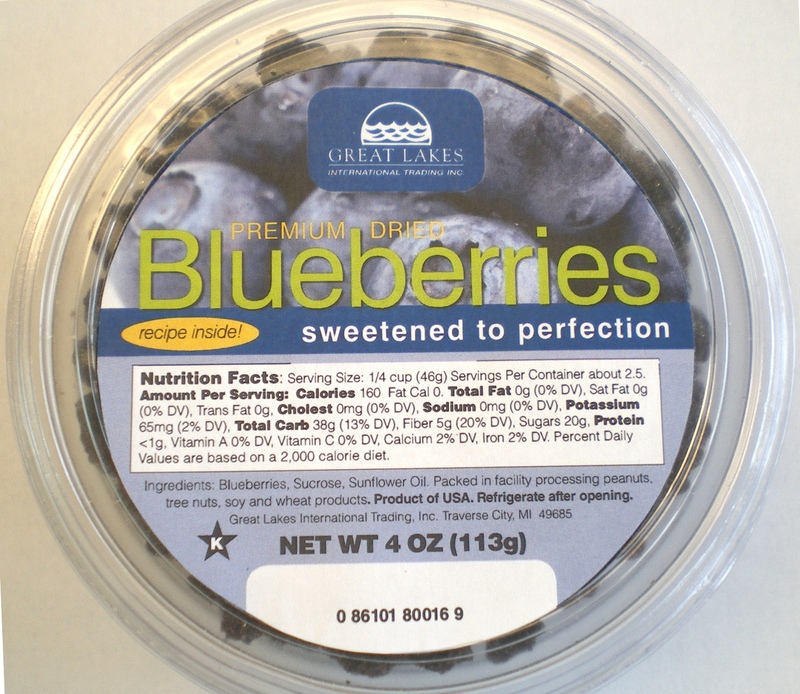 Premium Dried Blueberries: 4 oz Round Vac Pack Tubs « Great Lakes International Trading, Inc.
USA Dried Blueberries are available in a convenient shelf-ready display pre-packed with 24 crystal clear 4 ounce resealable tubs. 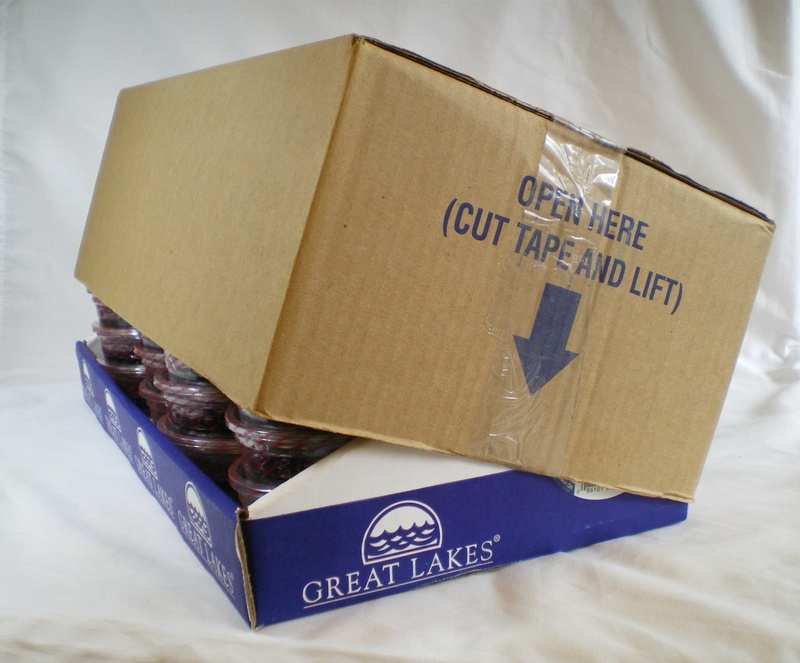 Just cut the tape, lift the lid and start selling! Each tub has a vac pack seal with a reclosable snap lid and is labeled with complete nutritional data, UPC code, and Star-K’s kosher. Case dimensions are 19 3/4″ x 10 1/2″ x 7″, which equals 0.84 cu. ft.
Each case contains 24 tubs. Each tub contains 4 ounces. Net case weight is 6 pounds. Each case is “SHELF-READY” after removing the cardboard lid. Each pallet is loaded 8 block/10 high for a total of 80 cases. The pallets are stretch-wrapped. UPC code #0-86101-80016-9. Product of USA. Great Lakes item #498.